Whether you are new in town or you are planning to relocate to Singapore, you will definitely need to shop for groceries at some point during your life here on this little red dot. From farm fresh produce to quirky international snacks, supermarkets and grocery stores in Singapore have almost everything that you can think of. Each with their unique selling points, it is impossible to pick just one chain that reigns supreme, but we managed to round up a list of the best spots to shop for groceries. As one of Singapore’s most prominent supermarkets, NTUC FairPrice offers amazing deals and impressive selections in all of its 230 outlets. With an aim to keep 90% of its items the cheapest in the market, you know that you can always count on them for great savings and variety. Located in every neighbourhood islandwide, going for a quick grocery run has never been easier. With an emphasis on bulk buying, you can head on down to any of the 61 Giant outlets to refresh your food stock to enjoy awesome discounts. As a one-stop shop for everything under the sun, Giant offers a diverse array of fresh groceries, household products, electronics, and clothing. On top of that, customers can also enjoy free delivery when they spend over $200 in a single receipt. Catering to their shoppers’ every need and convenience, Giant has won over the hearts of locals with its affordably-priced items and extensive collection of produce. Providing a modern approach to grocery shopping, Habitat is the place to go for an all-encompassing range of organic produce and premium food items. Helmed by Honestbee, a local online grocery concierge service, this high-tech supermarket requires you to download their app to enter the store. Upon entry, you will find Singapore’s widest variety of deluxe wagyu cuts, truffle-infused food products, and even a selection of quality meats that are guaranteed to take your tastebuds on a delightful gastronomic journey. After you have selected what you need on the app, your items will be scanned and packed by robots so you can make payment and pick them up at the collection point once you are done. Talk about living in the new age? At the upscale end of Singapore’s diverse grocery shopping scene, Market Place offers high-quality produce as well as a wide array of international snacks. Furnished with a salad bar in their Raffles City outlet and an in-house bakery within their Tanglin Mall branch, you can even grab a quick light lunch or mid-day treat while stocking up on your groceries. Although their prices can be on the steeper side, you will never have to worry about quality when it comes to shopping at Market Place. Well loved by expats and locals alike, Cold Storage is the destination to head to for all your dinner preparation needs and more. As Singapore’s oldest supermarket chain and with more than 50 outlets under its belt, they offer one of the freshest produce in the city as well as quality air-flown meats and a wide variety of international products. Additionally, some of its outlets also include an in-house deli and a build-your-own-pizza bar, so feel free to grab a snack or two as you shop. With only one outlet in Singapore, this Japanese mega-market is the best place to go to for all things Japanese and more. Fully stocked with goodies from UK, Japan, as well as the United States, Meidi-ya has a diverse array of fresh food that is bound to tickle your fancy. Dinner prep woes got you down? Why not try out their quality Kobe beef from the delicatessen or tender salmon filet from their seafood section? Housed in the basement of Liang Court shopping centre, shoppers can also expect to find novelty Japanese snacks and tidbits here! Hankering for some delicious Korean instant noodles or barley tea? SHINE Korea is an all-encompassing solution to all your cravings. Loaded with a bevy of authentic Korean products at really affordable prices, this supermarket is definitely where you want to head to if you are looking for anything that is made in Korea. With a range of confectionery, beverages, alcohol, instant food, condiments, and household products, SHINE Korea trumps over all the other Korean supermarkets in Singapore with 12 outlets islandwide that offer competitive prices and unrivalled variety. Sourcing most of its produce from Australia, Little Farms is known for its organic and ethical food products. 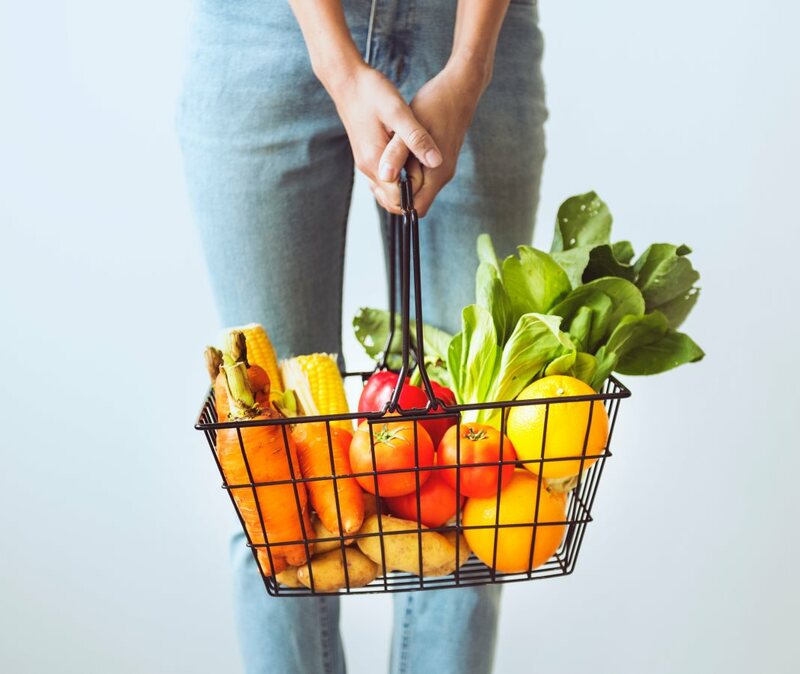 Catering to a niche audience who care a lot about conscious eating, or simply individuals who are trying out clean eating, this quaint little grocery store is a vegan haven where you can get anything – from fresh poultry to wholesome snacks to almond milk. With 4 outlets across the island, there is also an in-house deli within their Tanjong Pagar outlet where you can get delicious vegan cupcakes that you can indulge in without worrying about calories.